When up and coming business leaders find themselves in need of funding, there is often a finite window between beginning the search and the opportunity disappearing. Realising the search process needs to be improved, KPMG Small Business Accounting is doing something about it. Bivek Sharma, a partner on the Small Business Accounting team, explained that time and time again he was finding that entrepreneurs and business leaders take a cumbersome and time-consuming approach to applying for money. Even if they are advised on the best approach to take, whether it is to finance the purchase of a new van or photography equipment, a one by one strategy is then employed – eating into valuable time that should be spent directing the business. “Businesses looking for money spend half their lives going round speaking to people. Spending six or seven weeks trying to get a loan, and then getting rejected, is a huge effort for no reward,” Sharma said. To deal with that, Sharma went looking for the right kind of platform which could make this process smoother and more efficient. He was after a platform that any lender could come list on, without any favouritism, and could provide customers with the best possible rate. Enter Funding Xchange. Founded by Katrin Herrling and Olivier Beau de Lomenie, Funding Xchange links companies in need of finance with the best debt provider. It was through running small businesses themselves that the founders gained insight into the associated difficulties, and then set about creating the solution. The premise works on the basis that Funding Xchange has 50-odd lenders signed up and visible on the platform – repressing a wide array of loan underwriters. Once a company plugs in its lending requirements, providing information on its situation, financial performance, funding needs and business, Funding Xchange then effectively gets finance providers to bid on that request. For Herrling, this is about providing business owners with the right information to make informed decisions. “We don’t want to turn a business into a company that understands finance as well as a commercial broker, just so it knows enough to make the right choices,” she added. Sharma expanded on this by also discussing convenience. “The last thing I want is my customers having to apply to 5-10 individual finance providers to find the right solution for their business. We use Xero [an accounting software provider], and Funding Xchange pulls information from its bookkeeping system to part-complete the application. 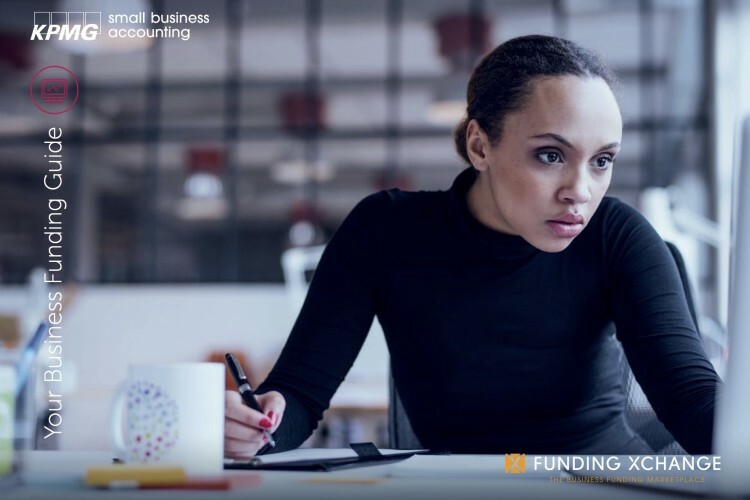 The benefit, and reason behind the coming together of Funding Xchange and KPMG Small Business Accounting, is that lenders are then effectively fighting for work, getting messages out to customers which fit with lending criteria. Sharma believes this is basically turning the tables and giving power to business owners, allowing them to engage with the finance providers they want to. Lenders have been really supportive to the Funding Xchange proposition, Herrling said, because often niche lending models find it hard to find the right businesses. With online marketing and finance brokering very expensive, creating a high cost of introduction, the platform cuts down on the price by 70 per cent. On the trust issue, Herrling was quick to emphasise that Funding Xchange does not see itself as a broker replacement. With brokers in effect making decisions for SMEs, directing which three or four a business leader speaks to, the process can be influenced by a commission structure. Funding Xchange makes no pre-selection in terms of which lenders get to see what requests. All are on the same terms and accept that, if they want to work with the platform, it is done so on a neutral and unbiased basis. KPMG Small Business Accounting and Funding Xchange believe there is a shared vision in terms of helping companies to grow. The move to bring business critical information onto the cloud is key to accessing finance faster. Better access to data on performance unlocks funding, as it allows underwriters to make informed decisions in hours rather than days or weeks. The partnership marks the latest step in the continual improvement of the KPMG Small Business Accounting platform, evolving it to meet the needs to ambitious entrepreneurs throughout the UK.